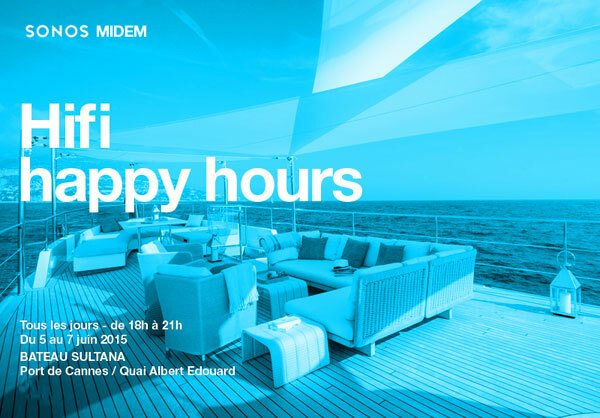 Sonos innovated by offering MIDEM 2015 delegates Hifi Happy Hours on the boat Sultana, equipped with multiroom speakers, in the Old Port of Cannes. 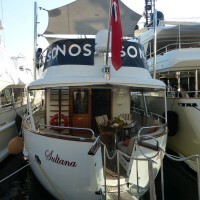 In addition to its Suite at Midem’s VIP Club, Sonos, the leading manufacturer of wireless Hi-Fi systems, created a sensation by inviting the participants in the music market to discover how efficiently its multiroom speakers operate on the Sultana, a boat anchored at the rear of the Palais des Festivals in the Old Port of Cannes. The company, created by music lovers for music lovers, is constantly innovating to offer the best to its worldwide customers. 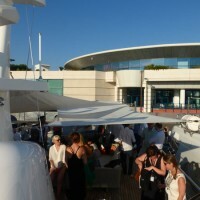 A few meters from the Palais des Festivals, MIDEM participants had only to cross the Jetée Abert Edouard to set a (bare) foot on the Sultana’s teak decks, a yacht turned into an auditorium, for Hifi Happy Hours with intelligent speakers everywhere. 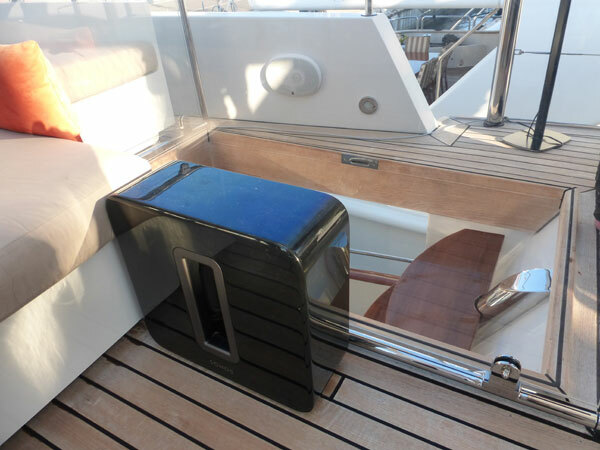 An original way to demonstrate that its wireless speaker systems, from the PLAY: 1 compact to PLAYBAR, can issue clear Hi-Fi sound elsewhere than at home and enable to listen to your favorite music around all kind of places of living. 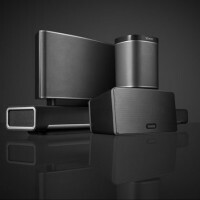 Sonos is a Hi-Fi wireless speakers system that allows to group all the users’ digital music in a single application and control it from the device of their choice. Everyone can listen to what he wants in every room, on a dedicated wireless network. “Sonos is born from the belief that you should never have to choose between sound quality and easy access to all your music at home.” John MacFarlane, CEO, Sonos Inc said. 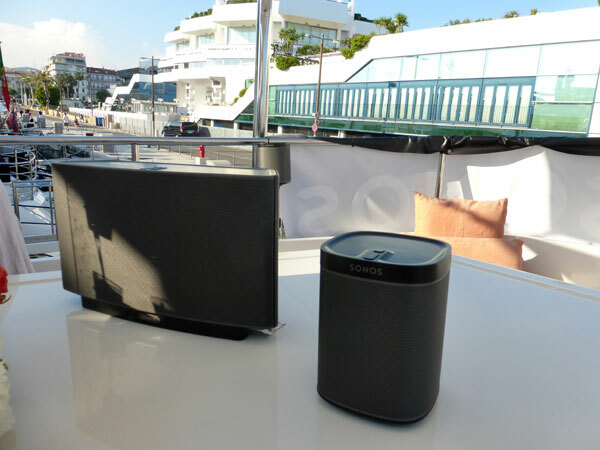 At Midem 2015, the company presented its latest innovations. The very first speaker in limited edition, the PLAY: 1 Blue Note, celebrates the best of jazz from the past 75 years, with custom design and access to exclusive playlists. The PLAY: 1 Blue Note offers the Blue Note radio station on Sonos, integrated in the main menu of the application and provided by TuneIn to enjoy a year of Blue Note programming with three dedicated web radios, new playlists available each month, and Born in Blue which brings together the legendary artists from the Blue Note 101 label. Only 4,100 speakers will be on sale. More than 60 international streaming services are available on Sonos. Each of these services have different characteristics: high-definition audio format, handpicked radio stations, playlists creations… like Mixcloud, a free music streaming service providing the largest international collection of radio shows, podcasts and DJ mixes. 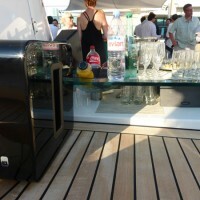 The controller, constantly improved, offers the best music experience possible to all users. 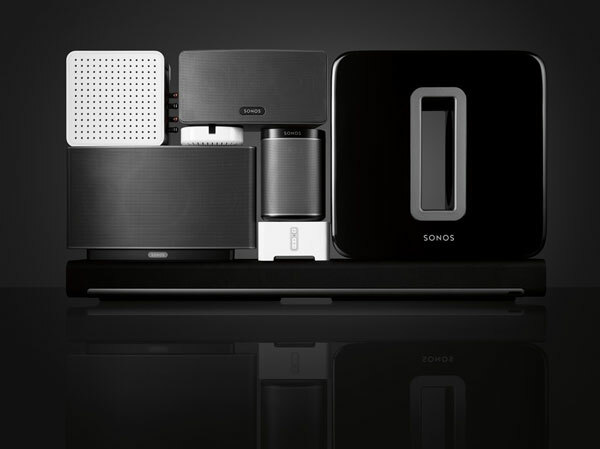 The Sonos Hi-Fi Wireless system – intelligent speakers and audio products for the home, is allowing you to wirelessly play all your favorite music in Hi-Fi quality in any room of your home. 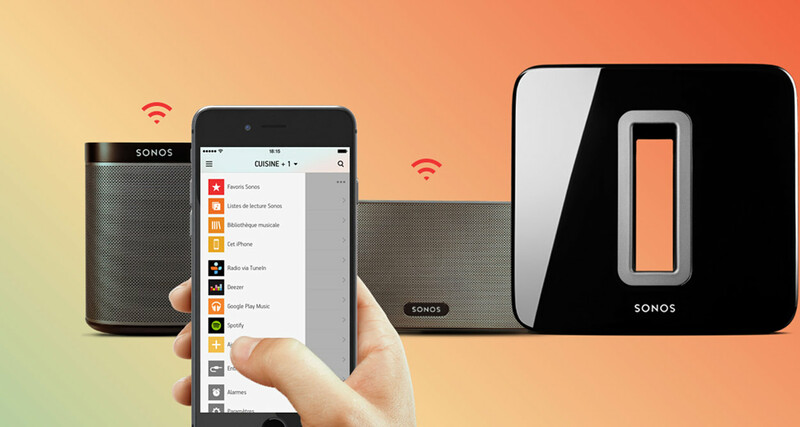 In addition to broadcast your own digital music collection, Sonos gives you access to millions of songs and thousands of radio stations through partnerships with online music services worldwide. Founded in 2002, the company is based in Santa Barbara, California, with offices in the US, the Netherlands, the UK, Germany, France and Malaysia.